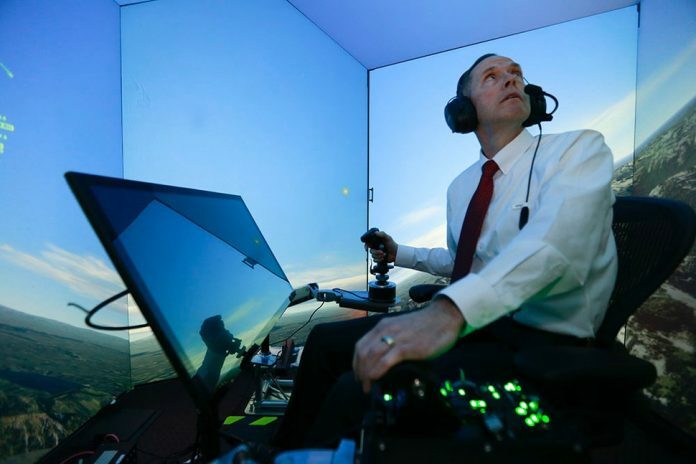 During the aerial combat simulation, with the Artificial Intelligence system, AI has won against the veteran Air Force experts and the skilled pilots. Graduate Nick Ernest, who is now CEO of Psibernetix from the University of Cincinnati in the United States, has developed this simulation AI system called “ALPHA”. This was evaluated by the veteran US Air Force Colonel Gene Lee. Lee is having the great experience in the aerial combat as the Air battle manager and the instructor with significant fighter aircraft expertise. What makes the Alpha different from the other popular Combat simulator video games? “Naturally, the video games have the extremely simplified simulation mechanics,” says Ernest. These immense simplifications will prominently reduce the scope of the problem. AFSIM, the environment ALPHA flies in for this study, is a high-fidelity simulator, which can credibly characterize the modern air combat atmosphere with suitably behaving models for the aircraft, sensors, and weapons.